Updated 04.01.2019: When it comes to the best National Park adventures for boomers, there’s no lack of active travel experiences. Nature watching, photography, hiking, cycling, kayaking, winter activities—the recreational opportunities are endless. Alan and I hope that these National Park vacation ideas will inspire your next boomer trip. Exploring a U.S. national park is one of our favorite boomer travel adventures. Did you know that a national park trip is good for your health? We agree, as long as you stay active by hiking our favorite national park trails. And a national park vacation goes a long way to relieve stress if you’re visiting uncrowded, off-the-beaten-path national parks. The National Park trips featured on this page are based upon our first-hand travel experiences—boomer travelers who’ve been there—or those of hand-picked guest writers. We find that reading an account from someone who’s been there and done that is the glimpse we need when planning a National Park vacation. You will, too! Don’t miss our tips for planning a national park trip. You’ll find them in the National Park Travel Planner. Are you a baby boomer who’s an avid National Park traveler? Come back often as we continue to publish national park travel adventures on this page. Or subscribe to the My Itchy Travel Feet Weekly Broadcast to be the first to know! Scroll through our catalog of first-person national park adventures (we've included national monuments, too). You'll discover one that's just right for your next boomer trip. Even though activities are limited in Crater Lake National Park due to a snow cover that hasn’t yet melted, we highly recommend a trip during May. Once Crater Lake Lodge opens, head to the park to snowshoe, walk the roads that have been partially plowed or simply explore the snow-covered wonderland before it melts. You’ll appreciate the lack of crowds. And the photography opportunities are amazing! Take a look at our Spring Visit to Crater Lake National Park to plan your trip. Located in the remote northeast corner of Yellowstone National Park, Lamar Valley is often called America’s Serengeti. On a winter visit you’ll see bison, deer, elk, otters and possibly wolves (unfortunately we didn’t see any wolves). If you only have one day to explore, we’ll show you how to make the most of exploring Yellowstone’s Lamar Valley in the Winter. It’s more accessible than you realize. Glacier National Park is certainly one of our favorite National Parks. We’ve spent a lot of time getting to know this beautiful area, especially since moving to Montana. The park is so much more than a drive along Going-to-the-Sun Road, although that’s a spectacular experience. The hiking trails are some of the best that we’ve ever hiked. And the wildlife watching offers incredible opportunities. Don't miss our tips on how to make the most of your Glacier National Park trip. With five national parks and numerous national monuments, Utah is an active boomer traveler’s dream destination. We’ve explored Canyonlands, Arches, Natural Bridges, Grand Staircase-Escalante, Valley of the Gods and beyond. If you’re looking for adventurous dirt roads to explore, hiking trails with waterfalls, sandstone bridges arching over your head, and some of the most spectacular scenery in the southwest U.S., we'll show you where to go. Not every national park adventure has to be hard one. Vera Marie Baderstscher shows us easy-to-do activities in the Great Smoky Mountains National Park that are a must for boomer travelers. In addition to the beautiful Blue Ridge mountains folding over one another, the history offers another reason to visit. Are you planning a trip to Yosemite National Park in California? 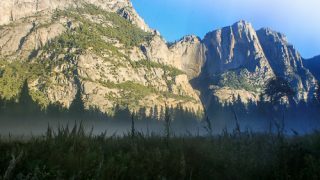 Hiking in Yosemite is a great way to see and experience the immense beauty of one of the most famous U.S. National Parks. Noel Morata inspires a hiking trip with his advice on Yosemite trails from easy to moderately difficult. When it comes to off-the-beaten-path National Parks, New Mexico claims two incredible parks that are not to be missed! And you couldn’t get more diverse than a white sandy desert followed by a cool cave exploration. Check out Sam Lowe’s experience at White Sands National Monument and Carlsbad Caverns National Park. 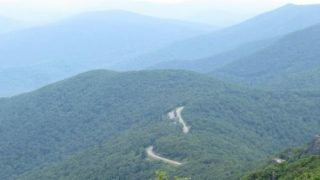 Suzan L. Jackson takes us on six hikes in Shenandoah National Park that you must try. From waterfall strolls to summit trails, don't miss these scenic trails in the Blue Ridge Mountains of Virginia. Are you planning a visit to Yellowstone National Park? The park is famous not only for abundant wildlife, but also the geo thermal features that make the Yellowstone region unique. The geysers are easy to explore, even for less active boomer travelers. Bighorn Canyon National Recreation Area, located in the Yellowstone ecosystem, is an uncrowded alternative to Yellowstone National Park. Teresa Otto shares tips on what to see and do. Exploring the four-wheel-drive trails of Canyon de Chelly National Monument is a thrilling experience. Located on Navajo land in Chinle, Arizona, Canyon de Chelly offers glimpses of petroglyphs and ancient cliff dwellings. We can't wait to go back for another look. The Okefenokee National Wildlife Refuge 700 square acres of blackwater swamp on the Georgia Florida border. 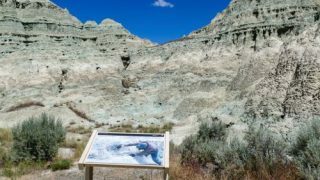 Not only is the area rich in natural history, but it’s got an interesting human history as well, dating back to 2500 BC when Native Americans occupied the area. Leigh McAdam shares the story. Most travelers love to visit a warm weather destination, but not everyone is eager to embrace the kind of heat that radiates from Death Valley National Park. The park motto is “Hottest, Driest, Lowest” and Death Valley delivers! Vanessa Chiasson shows us how to make the most of a visit to this California national park. 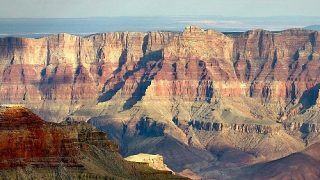 While you’re at the North Rim of the Grand Canyon, don’t miss 23-mile scenic route from Grand Canyon Lodge to Cape Royal. The scenery is just beautiful and, if you go in the fall, you’ll avoid most of the crowds. Not an active boomer traveler? This drive is for you. Skip the crowds at the South Rim. 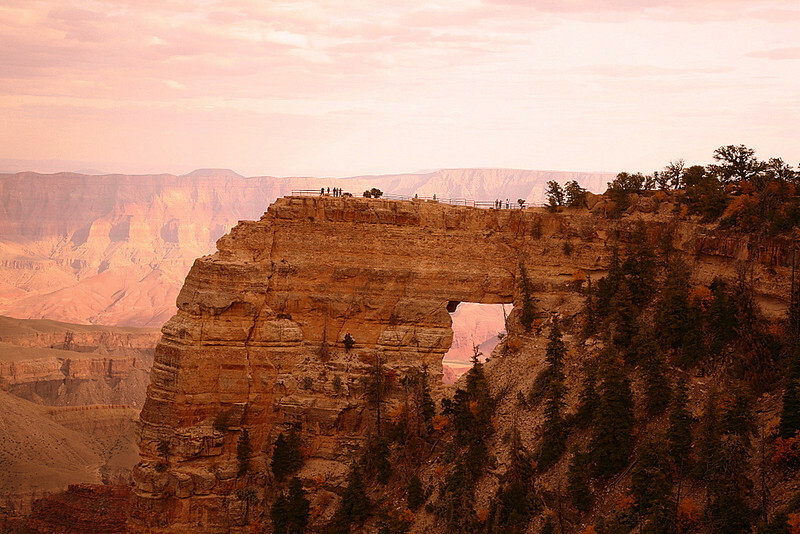 Drive the 212-mile journey to the North Rim for hikes, wildlife and and ponderosa pine forests that inch right up to the canyon’s edge. 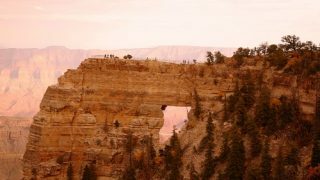 Visit in the fall before the North Rim closes due to snow. You’ll enjoy the crisp air and sunset on the deck of Grand Canyon Lodge. We did! Explore Grand Teton National Park on this two-day itinerary. If you go in the fall, you’ll discover blue skies and golden fall colors, unfortunately, you won’t be the only boomer travelers around. But seeing Oxbow Bend dressed in golden leaves is well worth it. We'll show you how to make the most of your trip. We’re often asked about our favorite off-the-beaten-path travel experiences. In Arizona, that would have to be Chiricahua National Monument. Active travelers will get their fill of hikes, 4-wheel driving, exploring history or photographing the scenery in a less-crowded southeastern Arizona setting. El Morro National Monument is located in the northwestern corner of New Mexico. For centuries, travelers and explorers have stopped to rest and replenish themselves at an oasis of water wedged into the base of this sandstone outcropping Before continuing the journey, they left their mark on the cliff’s smooth sandstone walls. We'll show you how to visit history's graffiti. Pictured Rocks National Lakeshore in Micigan is America’s first designated national lakeshore, established in 1965. Jim Tobalski explains why enjoying the view from the waters of Lake Superior is the best way to experience Pictured Rocks. Follow his tips to plan your visit. Viewing the spectacular sunrise at Haleakala National Park is a highlight of any Maui vacation. Vanessa Chiasson explains how to plan an independent trip to see the sun come up. Dennis Calhoun on a photographic journey through majestic, Denali National Park. We predict you'll be adding this experience to the conclusion of your next Alaska cruise. If you're looking for a rugged, off-the-beaten-path national park experience, visit the north rim of Black Canyon of the Gunnison. Alan and I discovered a flower-filled trail on an early summer trip to this corner of Colorado. If your looking for a boomer adventure in Texas, consider Big Bend National Park near El Paso. You’ll experience rugged terrain, wildlife watching in a diverse habitat and plenty of hiking opportunities. If you don’t mind roughing it when it comes to lodging, this may be the uncrowded National Park for you.